Christmas may come but once a year, but it's a two-month affair, and it has officially begun. How do we know? Because we're already beginning to get Christmas cards. 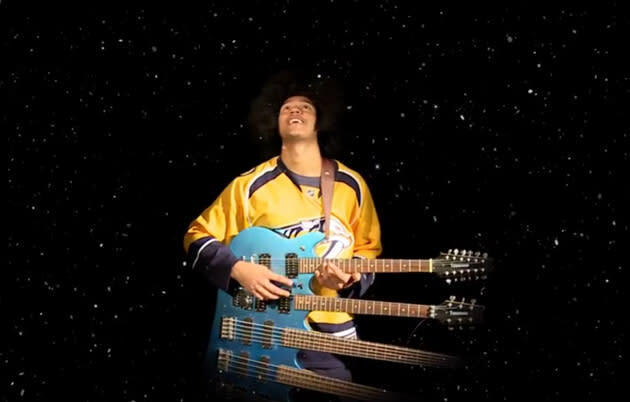 The first one comes to us from the Nashville Predators, who gave us the greatest gift of all: an air band performance of one of Trans-Siberian Orchestra's metal-infused Christmas carols, complete with Seth Jones playing a quadruple-neck monster guitar while wearing a Sly Stone wig. It's just what I wanted! This is so delightfully half-assed, especially Craig Smith on cymbals. Listen, Craig Smith: Cymbals make a crashing sound. If you hit the cymbal and we don't hear a crashing sound, then we're far less likely to believe you're actually playing the cymbals. Step your drum game up, Craig Smith. 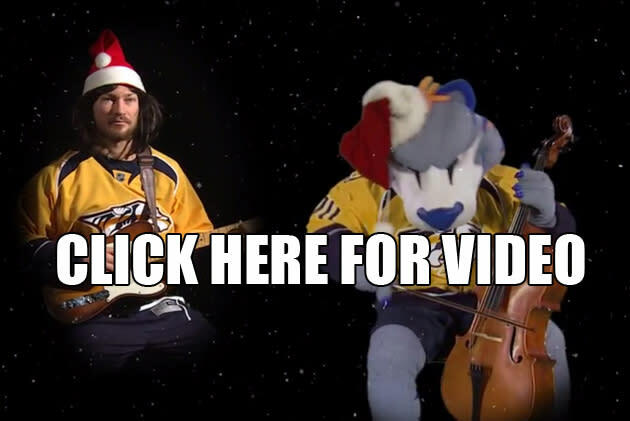 We eagerly await more Christmas cards from around the NHL, and urge all teams looking to make the next great viral holiday video to do what you already do as an NHL franchise, and try to learn from the Chicago Blackhawks and the San Jose Sharks. They're the gold standard here. Harrison Mooney is the associate editor for Puck Daddy on Yahoo Sports. Have a tip? Email him at puckdaddyblog@yahoo.com or follow him on Twitter!